My first 12k, my first time racing against a train, my first time forgetting how hard/amazing/beautiful trail running is (okay, definitely not the first time I have forgotten;) because it has been way too long since I have last done it and my first time doing a race next to a reservoir for the entire thing! 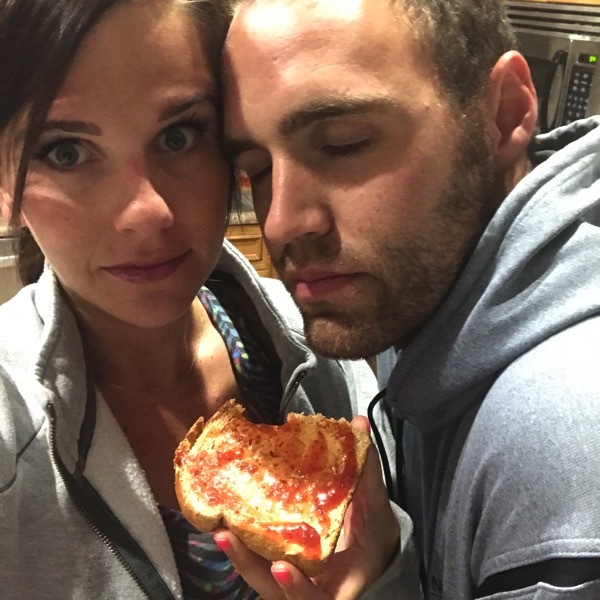 We got up at 5:10, had some peanut butter and jelly toast and then we were off. 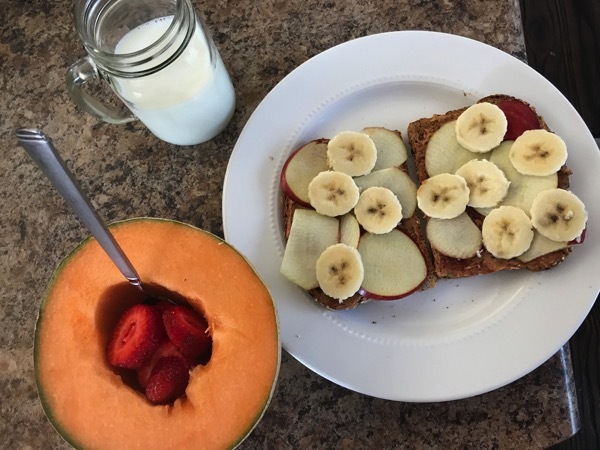 PS peanut butter works for me before pregnant races but when I am normally racing I don’t eat it before a race… I can’t REALLY push myself with peanut butter in my system (it makes me feel sick.. I’ve made this mistake way too many times). Something that I LOVE LOVE LOVE about trail races is how much more laid back it all feels. 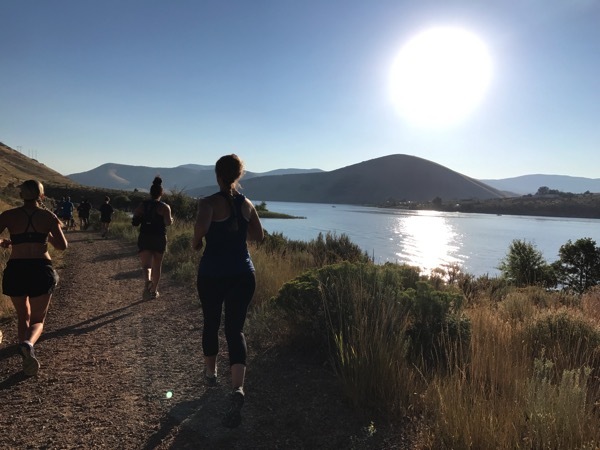 If you haven’t done a trail race before and you are feeling stuck in a running rut or you want to experience something amazing/beautiful/fun… do a trail race. 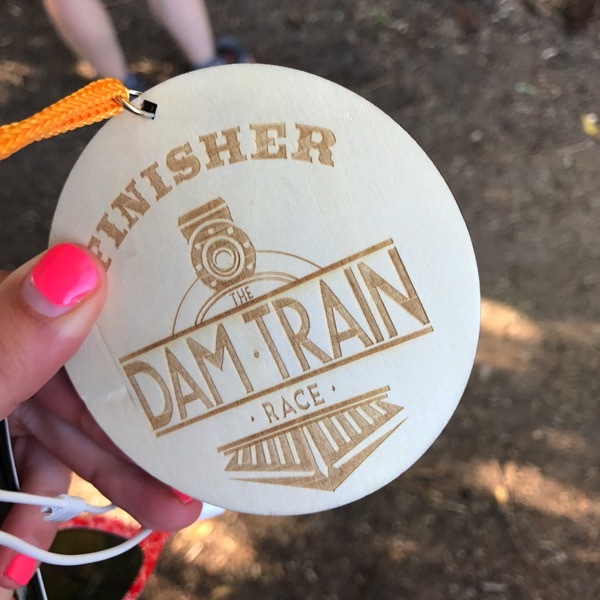 PS I am beyond positive I am doing this race again next year so if you want a fun destination race to come do, meet me here (this is the Dam Train Race). We got to the bib pick up (also the place where you jump on the train). We parked right across from this area and hopped in line to grab our numbers. And then we took a picture in front of where the train was going to pick us up. 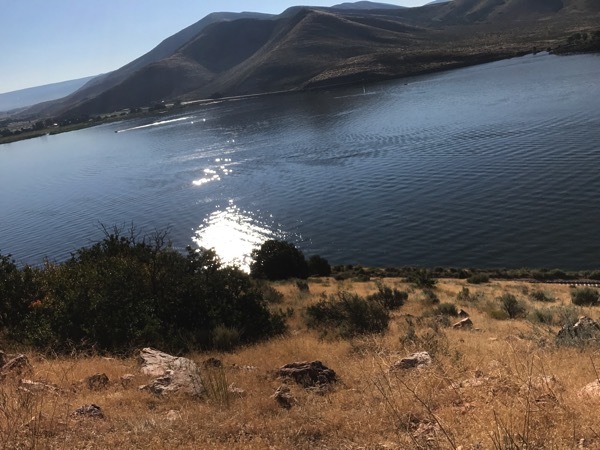 You can see Deer Creek Reservoir in the background. Of course my bee sweatshirt made it to the start of another race. We then went back to the car to hang out for a few minutes (it was chilly!) before the train arrived. The train pulled up and left at 7 a.m. to go to the starting line. This particular train started in 1899!! The train ride to the start of the race took a little over 30 minutes. We had a gorgeous view the entire time. I think the thing I loved the most about this race was the fact that it was so different from every other race I’ve ever done. The whole concept was so fun to be able to take the train to the starting line and run the trails next to the train tracks the entire time. The scenery for the entire race was out of this world. I wore my Mazama trail-running shoes and loved them like usual. 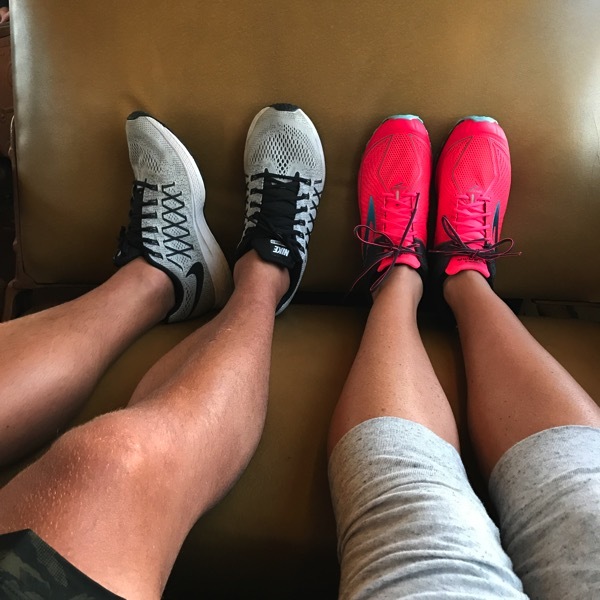 I love how light these shoes are compared to other pairs of trail running shoes and they don’t feel bulky at all… yet they are super grippy and keep your feet happy over all of the rocks etc. The trail wasn’t a super technical one so it could have easily been done in normal trainers too but I loved having trails shoes for the race (and their brightness bring you some major energy in my opinion). 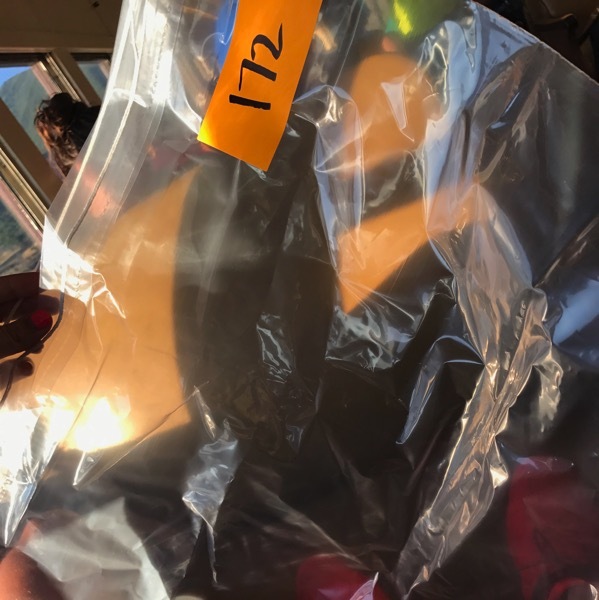 While on the train they played music and came around to pass out drop bags for us (talk about convenient) and any other safety pins we needed etc. Here is the train and the one of the conductors! Something that I loved seeing was there were a few runners that were dressed up as conductors for this race. Runners always have the best ideas. I love dressing up for races and I’ll be doing that too next year. We were at the starting line for about 20 minutes before the race started. There were some bathrooms up there too. The spot for the drop bags was right at the start of the race so it was easy to just drop your bag off and go. I love small races (there were about 350 runners I think) for how convenient and non-stressful they are. We lined up, listened to the National Anthem and then we were off! 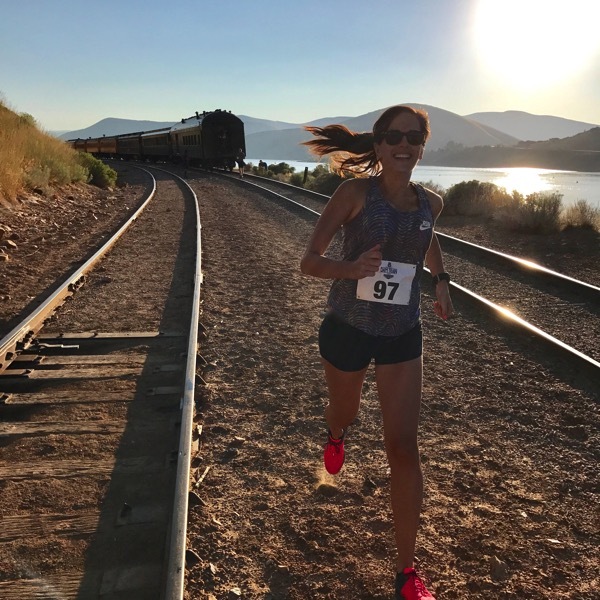 The train started after the last runner crossed the train tracks… you crossed the train tracks once at about .25 into the race. Nice to have a little head start from the train. Our view the entire time. If you do this race in the future, WEAR SUNGLASSES!!! Andrew forgot his and he did not love that. It never felt too hot outside (this course is up in the mountains a bit so it is cooler because of that) but having sunglasses helped with the sun being up ahead of you for most of the race. I definitely did not train my muscles correctly for this race though:) I felt great cardio wise but I just haven’t been doing many (any?) hills lately. The course map above says the elevation gain is about 1000 feet… we were either going up or down so my calves are going to be really sore for a good week or so. That lovely J.E.L.L.O legs feeling was going on for me during pretty much all of these inclines. An attempt to selfie with the water. The last 1.3ish miles of the race were ALL DOWNHILLS. That felt so nice and I loved the feeling of just cruising to the finish line. Get the hard parts done and then celebrate the last portion of the race (I think that is why I love the St. George Marathon so much, it is set up like that in my opinion). My last mile was a 7:52 and my Garmin told me that was my fastest mile so far (probably since I found out I was pregnant) which was fun for me. Andrew and I ran together for about the first 5 miles and then he told me to go ahead so I finished just a little bit ahead of him. 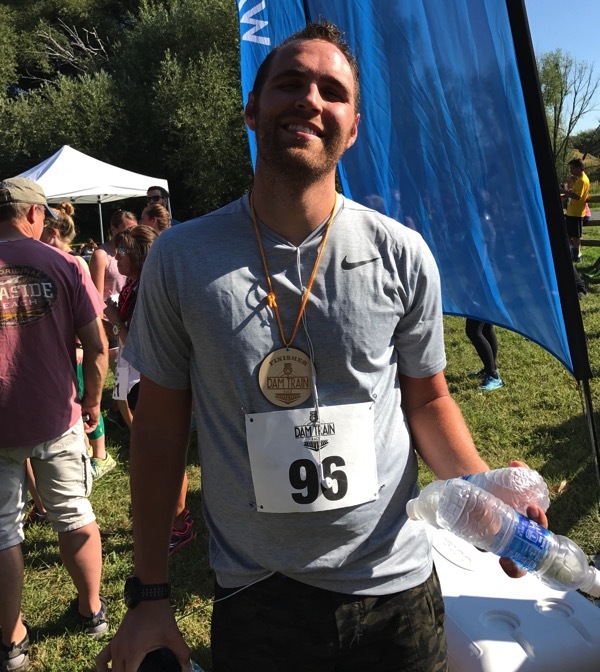 He has been focusing on weight training the last 6ish weeks and NOT running yet he still went out and rocked the tough course. I was amazed! I finished with a 8:54 average which I was more than happy with! A finisher’s picture of course. There are definitely positives with both doing a race for the first time ever and doing the same race each year. When you do a new (to you) race it really is so fun to not know what is next. To not be able to know exactly when the big hills are and just take it all in as you go! It’s also nice to do courses over and over again because you really learn the course and know the best way to pace for the miles along the way. Win-win either way but it was really fun yesterday to have no idea what was coming up next. My kind of finish line food. 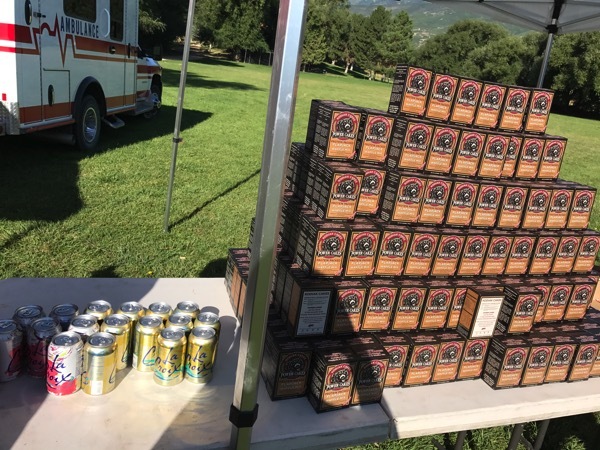 La Croix drinks and pancake mix from Kodiak Cakes! I am really hoping that I like La Croix again after this pregnancy because I was hooked on that stuff before! I’ll just be over here this week foam rolling my calves all week and next year I’ll prepare with some ups/trails/downs leading up to the race! Hi everyone!!! First things first. This race was pretty tough. I’m in a transition from running to cross training so take my thoughts with that in mind. Janae signed me up for this race without telling me and finally when I found out…. well lets just say the race wasn’t exactly how she told me it was going to be :) This race had the absolute best scenery. I was in awe of how beautiful Utah is and how fortunate I was to be where I was, although my legs were killing me. We were away from all the big cities and right next to the reservoir the whole time. Having the train as a big part of this race was killer and the ABSOLUTE BEST motivation. 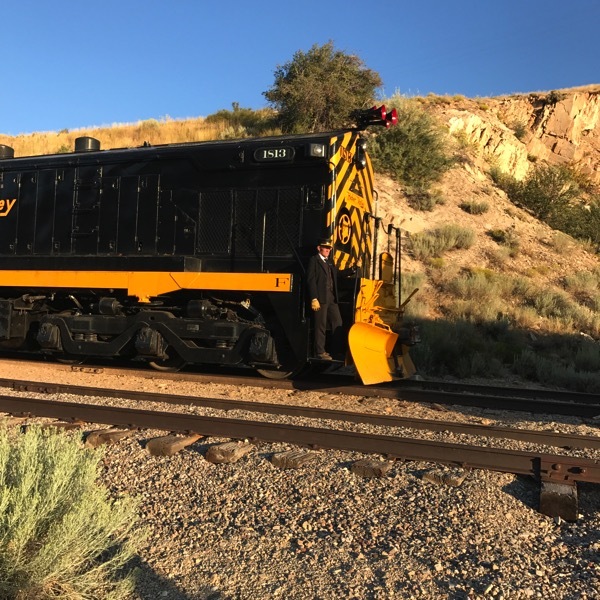 I felt like a bandit looking over my shoulder at every corner and hill to see if the train was going to catch up to me, luckily for me I beat it!! 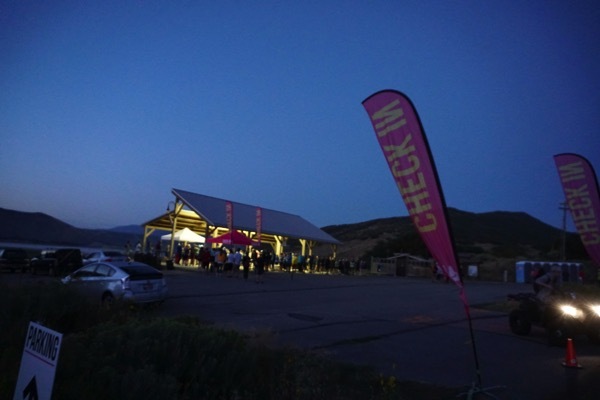 I have never done a trail race and let’s just say…. wow I learned that I need to pace myself more properly on the hills and in my case it is okay to walk a few seconds to catch my breath. This race really was fun, although I won’t admit it to Janae haha. It pushed me and it was such a different type of race than your typical pound the street and get the miles out to finish. I’ll be back next year. My sister invited us all over for her famous bbq pizza! 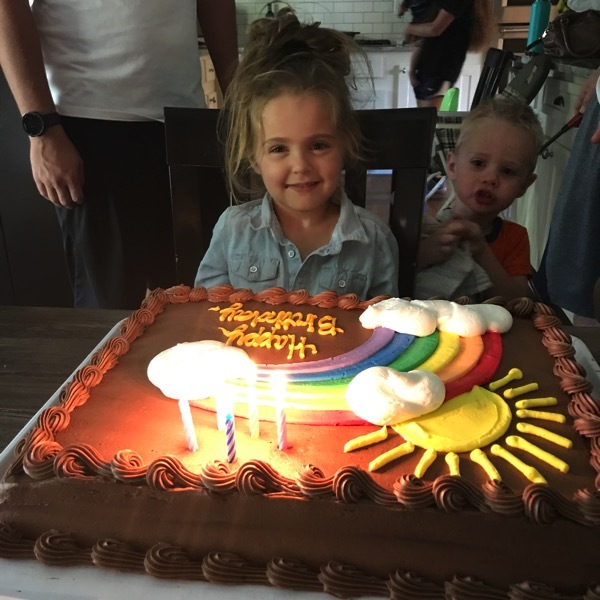 We hadn’t had a chance to celebrate Brooke’s birthday with my parents yet so my mom brought over this huge cake… Brooke was ecstatic over all of the frosting! A Q from Michele!! 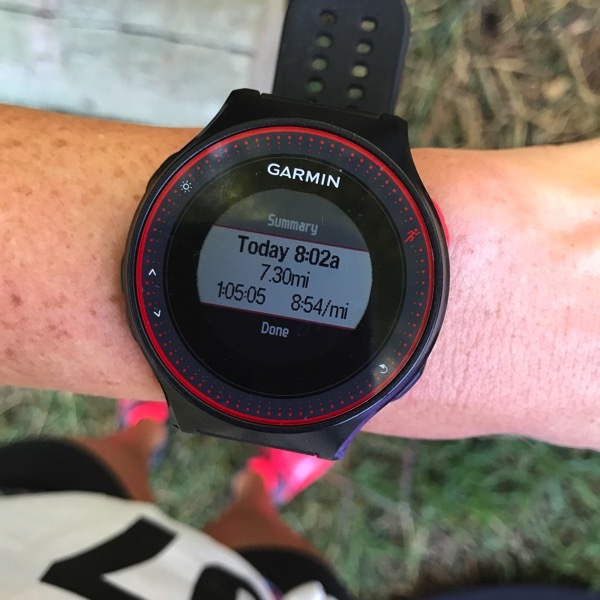 “I’m looking for a running app that will allow me to base my run off of time or distance. I’ve googled this like crazy and maybe there’s not one. But sometimes, I’d like to run for 45 minutes, or 1 hour, whatever depending on how much time I have. I want it to map out a run that should take me about that long. Or say I’d like to run 5 miles, so it will map it out 5 miles exactly. Would be nice when I’m not at home and you don’t know the streets as well. Anyone know of an app that would do this? What race have you been the MOST prepared for? What race have you been the LEAST prepared for? Ever done a trail race? What was your experience? A question from Andrew—> What is your all-time favorite book?! 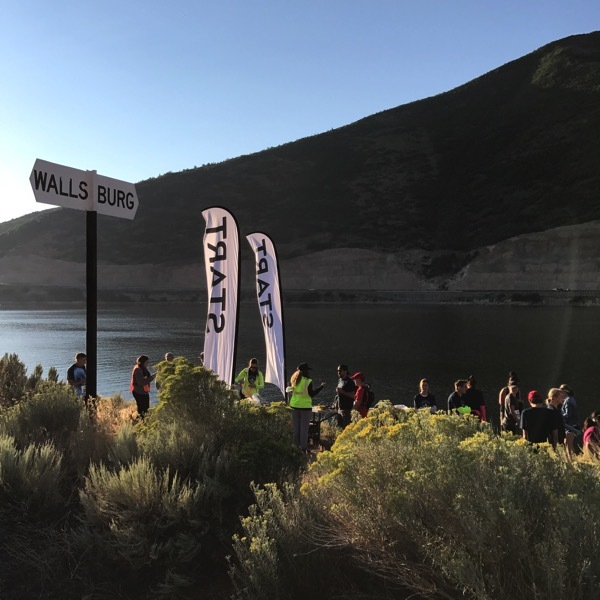 I’ve never done a trail race before, but this one sounds super fun! I’ve definitely not been prepared for some races, but sometimes that makes me run even faster because of all of the anxiety. But it’s also nice to know the courses and what to be prepared for. I don’t know that I have one specific book, but I would say the entire Christy Miller Series by Robin Jones Gunn. I even love all of the spinoff series she’s done from those, too! They’ve impacted my life in big ways. That race looks so fun — but I have to admit I would definitely not be prepare for all those hills. Good job on your pace and beating the train! great job on the race! i’ve never done trail run before but it looks like a fun and challenging experience! OMG that cake for brooke is awesome! and i’m totally jealous of that pizza…and speaking of food..they had PANCAKES post race??!!?!? RIGHT!?!?! I was so so happy about the post-race pancakes… the race director is a big time runner himself so he knows what is important to us:) I hope you have a beautiful Monday Marti! I love that they gave out boxes of pancake mix at the end! Seriously… I was probably too excited about that haha! Thanks Kendra and I hope your Monday is a great one so far! In regards to the app question… I’m not sure if there is one that does that? But I think Map My Run (website, but maybe also an app?) allows you to plot out potential routes. I use RunKeeper and you can choose to run by either time or distance, but it won’t map things out for you. I’m not positive that Map My Run will do what she’s looking for though…maybe? I think I was most prepared for my first half. 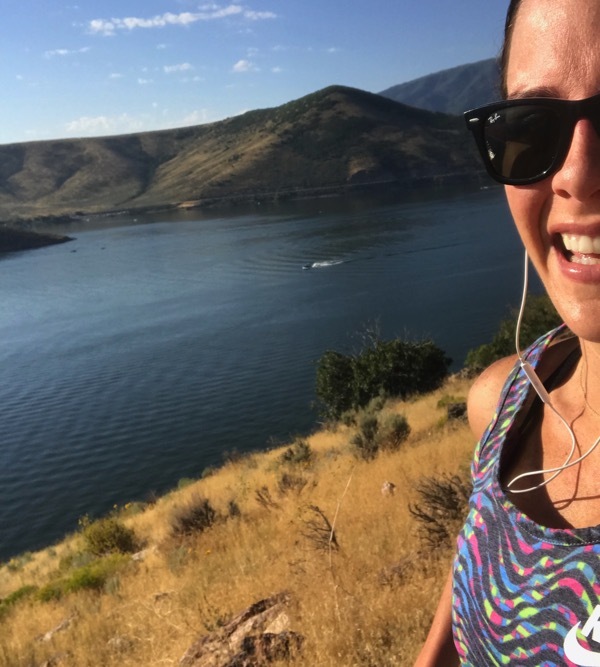 I used a longer training plan because I had no idea what to expect, and I was SO glad I did. Least prepared would probably be the last time I did a 5k race, I signed up last minute and even though I had been running, I hadn’t really done much speed work to prep for racing. 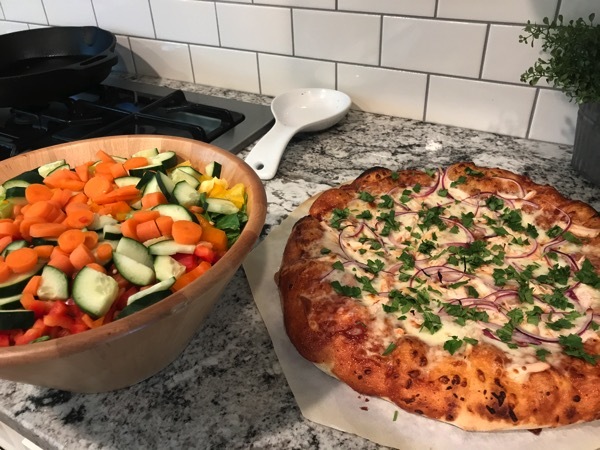 Every time you share a picture of your sister’s BBQ pizza, I want to reach through my computer and take a piece! I guess I will have to make some! Has she ever used another type of crust? I don’t have access to the kind she uses. That race looks awesome! You did great! My favorite book is the the Harry Potter series! I could read them over and over again. 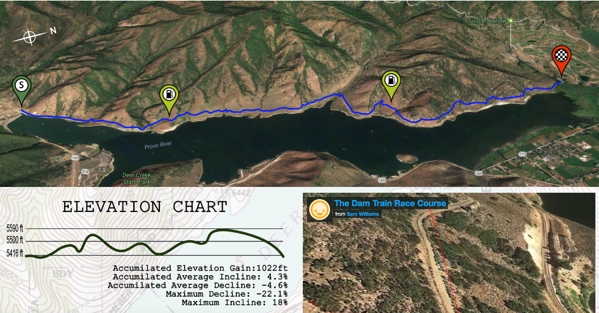 That race sounds like so much fun, aside from that elevation chart! Awesome job for beating the train! I actually think I’m most prepared for my 12 mile race in 2 weeks than I have for any other. I’ve run the entire course backwards and forwards, so I know what the hills are like. I also felt pretty prepared for my last marathon, which definitely helped lead to my 28 minute PR! A 28 MINUTE PR!!! That is amazing Sam! Good luck in two weeks, I want to hear all about your 12 mile race Sam! I love unique races that take us out of our comfort zone! This one looks wonderful! 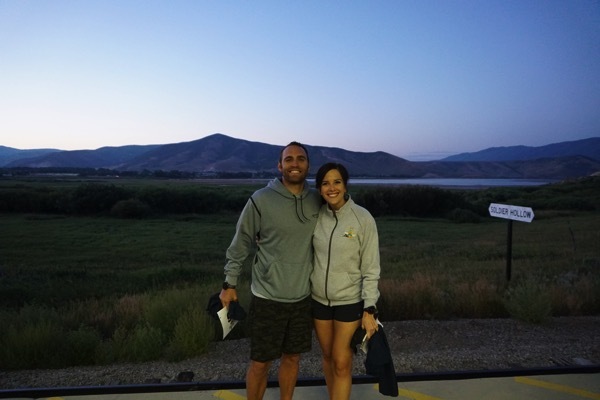 I have registered (and I registered my husband ha) for a special running “challenge” in our area this fall: you have to complete a 5k then you go on and do a 10k. We will have to pace ourselves well or it will be brutal! Should be interesting! And for Andrew: I found The book of Negroes by Lawrence Hill very powerful. On top of my list for historical fiction. The race I was best prepared for was probably the pink series race a couple years ago. It was a 5k and I PRed by 2 minutes! The one I was the least prepared for was in high school, my coach would take us all to California and we did a trail race at my sac. Every year I thought I was ready for it and every year I was dying by the end. In response to the app question: the ‘FastZach’ app allows you to put in the distance you would like (and any local sites you want to run by!) and then gives turn by turn directions. Hope this helps! They need a train race on the east coast too! THANK YOU KATELYN for answering the app question… Michele will appreciate it so much (and I need to try that too)! Have an awesome day! I do appreciate it ! Thank you so much, I am going to check it out right now. Thanks again !!!! I’d say I was most prepared for my first full marathon last year. I KNEW a going to be hard and it proved to be as hard as I expected! Ha! But I trained all last summer in the heat so I felt like I was as prepared as I could be for those unknown 26.2 miles. Seriously… training in the summer for those fall marathons makes us so prepared. Way to go Chelsea! I totally thought I would fall a million times too for my first trail race but I didn’t;) You will rock it! Enjoy your Monday Chelsea! Andrew: Shantaram by Gregory David Roberts! I loved that book! It may have taken me 6 months to finish, but it was worth it! It looks like such a gorgeous and fun race. I want to eventually run this or something similar. Although as clumsy as I am, that might not be the best idea LOL. It’s funny because I have a waffle with peanut butter before every run and race and I find it the best for me. Just goes to show every person is different! That pizza and cake look SO GOOD!!!! Congratulations on the race, you two! 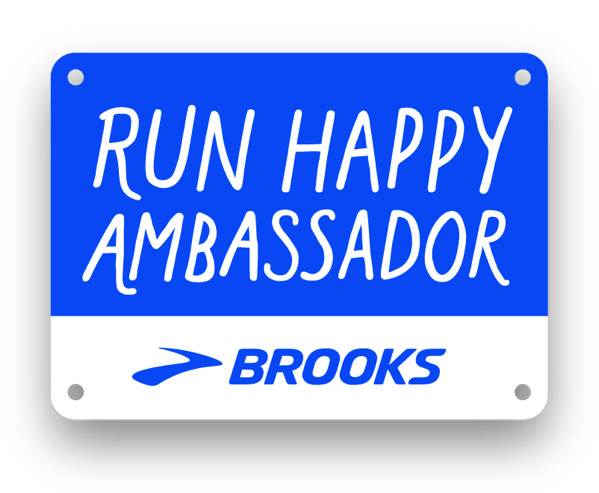 I was the best prepared for my PR marathon in 2013 (Rochester NY Marathon), and least prepared for my first trail race, actually. It was a 50k that I’ve since done a few more times, but the first time was rough. I had run over that distance before, but had never raced (or even run) on technical terrain. During the course of the race, we experienced sunny heat, rain, snow, and then hail. Ah, upstate NY weather. It was brutal, but I finished. Andrew — Unbroken, the story of Louis Zamperini is my favorite book. He lived a fascinating life that included some amazing running and horrific WWII experiences. I love reading about both running and WWII history, so I was absolutely enthralled from cover to cover. Okay, so I just finished The Marriage Lie book that you had recommended — SO GOOD! Your sister’s bbq pizza looks amazing! And Brooke’s bday cake seriously has the best cake to frosting ratio! 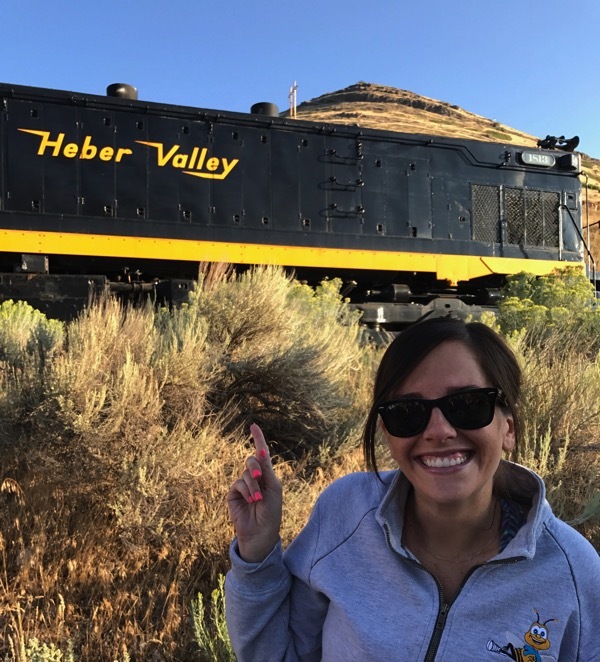 While, I’ve never done the train trail race I have been to the train and Heber and the whole area is gorgeous. My favorite book is Deep Survival. It takes a look at people who survive huge events and why/how they are able to do it mentally. Like getting lost at sea or breaking your legs on Mount Everest. Seriously!?!? Isn’t it amazing up there… my goal is to retire in Heber:) I love it there so much! Oh I want to read Deep Survival… that totally sounds like something I would love to read about! THANK YOU Katrina! Congrats on beating the train! That race sounds so amazing. 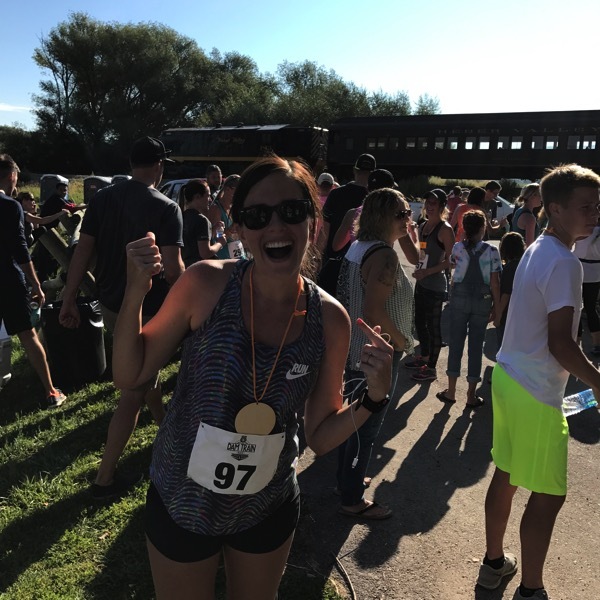 I did a trail race last summer (Golden Trails Half Marathon in Ontario, Canada) and loved it! I should look at doing another trail race soon. My favourite book is Harry Potter, without a question! I bet your trail race was beyond beautiful! Andrew agrees with you on the best book:) I hope you have a great day too Jessica! This race looks awesome!! You’re making me want to do a run-cation next year for this race. My all time favorite book..that’s tough! I don’t think I would be able to pick, sorry Andrew! The race I was least prepared for was a half marathon two year ago. And by least prepared I think I ran three times in the 2 months leading up to the race. I do not recommend that at all. I really want to do a trail race but everything in Texas is SUPER long or in the summer. I’m sure there’s more but I’ll have to do more investigating! This sounds super fun and I would be looking over my shoulder for the train too! Love how you are still racing with your bump! for the app question — Maybe strava? I haven’t personally used it, but heard about it a lot and I think if you can look at another users run in the area you could find that 5 mile route or see that this person did a 45 minute run around this area at your pace, etc. THANK YOU for sharing Bridget… I hope this will help Michele! I haven’t used strava a ton but I think I’m going to try it out more after I have this baby:) Enjoy your day! Thanks for the suggestion, I will check Strava out ! That race looks so fun! And I’m very impressed that Andrew ran it without really training. 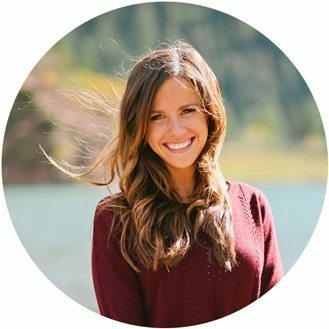 My favorite books (how can I just choose one?) are The Expats (the only book I have read twice), all of the Vince Flynn books (American Assassin the movie comes out in September so hustle and read the book first! ), and Baldacci’s Camel Club series. So I guess the Expats is my favorite but the others come in a close second. So now I’m curious what your and Andrew’s favorite books are. Right!? I couldn’t have done that without any training haha! THANK YOU FOR SHARING and we are going to write a post of all of our favorites ASAP:) Thanks Ali and I hope your day is a beautiful one! The race I’ve ben least prepared for was my last trail race. The hills slowed me down so much that it ended up being my slowest 5K ever. In regards to the map/time question, yes map my run does do both, you can map out a distance on the website first, then send that to your phone app. When you go out for the run you can select that map and it will tell you when to turn, based on your phone gps and where you are on your route. It will not set up a mapped run for you based on how much time you have because everyone runs at a different pace. Finally the app/website has a section where locals can make their routes public so say you are visiting Minneapolis and want to do a quick 5k, you can search the area you are in for someone’s map of their 5k amd run it. Again load it to your phone first from the website so you have the turm by turn directions. Hope that helps. OH AWESOME!! Thank you Meghan! Michele will appreciate this so much and I want to try all of this out too:) Thank you and I hope you are having an amazing day! Fantastic ! Thank you so much, I appreciate your time to help me out. Janae’s readers are the best. 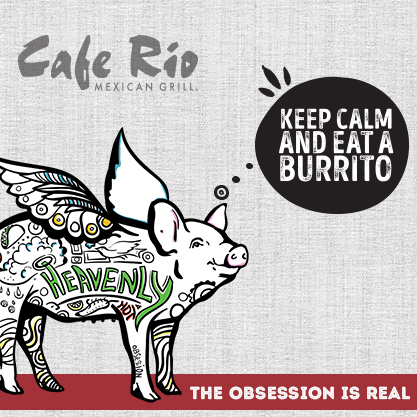 Wow – they have been reading my mind !!! Map My Run on the desktop will let you map a route of a specific distance – I used it a lot when I was training for my first marathon trying to figure out long runs that wouldn’t keep looping through the same neighborhoods. The app doesn’t have that feature but you can see nearby routes which would be helpful in a new place. That looks like a super fun race! Les turned 54 on Saturday and was up at 3:00 a.m. so he could ride 150 miles on his bike. Runners and cyclists are a crazy bunch! Awesome, thank you on the app info, excited to check this out. Thanks ! I feel like Andrew and you, Janae, like a lot of the same things I do so MAYBE Andrew would like some of the same books. Three of my top favorites: City of Thieves (David Benioff), Bel Canto (Ann Patchett), The Double Bind (Chris Bohjalian). Great recap of the race! Thank you both for the write-ups. THANKS for the recommendations… I think we like a lot of the same stuff too:) Thanks Amanda and I hope your week is an awesome one! Wow; what a fun race! thank you both for the recaps, I love reading them. Yes, trail runs are unique and they are getting more and more popular in Austria, too. about books: I love “East of Eden”- John Steinbeck, a lot. I want to do a trail race in Austria:) I am SO excited for your long distance hike this weekend! I want to hear all about it after… that is amazing!!! Thanks for sharing Gabrielle! Janae, you are so speedy! Loved that Andrew included his recap. Way to go man. My spouse springs athletic things on me too, I have learned that I probably should never dip below a certain base for that reason alone. A favorite book: The Alchemist. BAHAHAH That is exactly what Andrew said… He needs to be a bit in running shape at all times because I’ll probably sign him up for things all of the time. I need to read The Alchemist… THANKS GIRL! I hope you are having a wonderful day! Ahh this race looks SO fun!! Congrats to you and Andrew on a great race and on beating the train ;) I’ve never done a trail race before but now I need to find one. I love trail running/not caring about my time as much! My favorite book is currently “The Orphan Train”. Read it if you haven’t!!! I haven’t read that… thanks for the recommendation, I’m going to have to check it out! Thanks Marina so much! DO A TRAIL RACE ASAP!! Congrats on the race! What a once-in-a-lifetime experience! My all time favorite book is probably Little Women or Grapes of Wrath! What a fun race!! That looks amazing!! This summer I have gotten to so an 8 mile trail race, a 7 mile trail race (up to the top of Hahn’s Peak-2000 feet of climbing in 3 miles!) and just finished my first full trail marathon (the day after doing a 53 mile mountain bike race). Give me all the dirt!!! Congrats to both of you, trail races are my absolute favorite!! For Andrew; ‘Take the step, The bridge will be there’ by Grace Cirocco best book I’ve ever read. 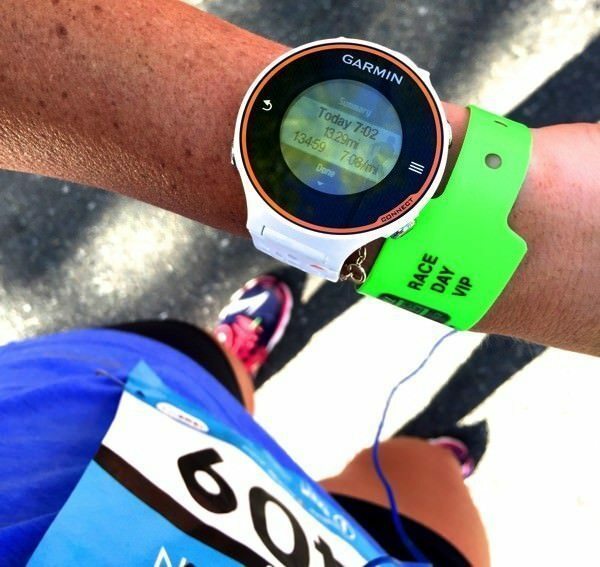 Nike running club allows you to set a distance or time for your run! It doesn’t map out your route, but it will tell you when you are halfway to your set ending, so you could always just run an out and back! Hope this helps! I haven’t found an app that does that, but that would be so amazing! I was probably most prepared for my half marathon last april; I’d been running so much, so often. The thing was, I was totally OVER training! I think that’s how I ended up with the stress fracture. I PR’d, but I was uncomfortable the whole race. I haven’t done a full-on trail race, but being from New England, a lot of our races have sections of trail running in them, and I do a lot of training on wooded trails. I love it! Yay, you beat the train! Cool race! Couple of book faves: Poisonwood Bible, Angle of Repose, The Glass Castle, In the Time of Butterflies. 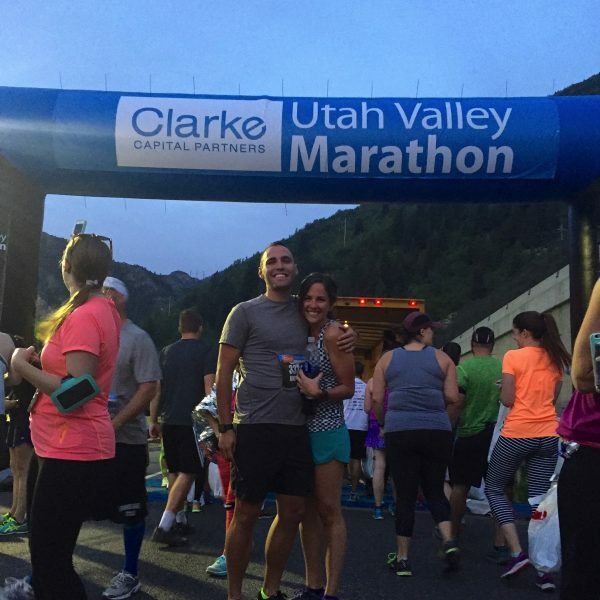 My first 1/2 marathon was a trail race and went through a long dark tunnel. They had glow sticks laid out that sortof showed the way, but it was a little freaky. And the course was out and back so we had to run through it twice. Super pretty through fall foliage! Good job beating the train! There is a similar race Seattle called Beat the Bridge. You try to get across the bridge before it opens (it’s a drawbridge) otherwise you have to wait on the other side until it closes again to finish! It’s super fun so I think I’d like your beat the train race too! 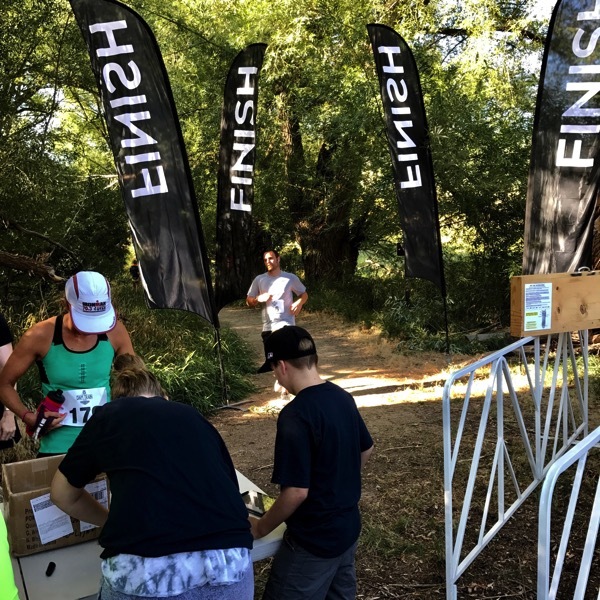 I just did this trail race a month ago http://gnarrunners.com/never-summer-100k/. I love trail running because it is such a friendly and laid back environment. And it’s beautiful as well! My favorite books are In the Lake of the Woods, The Red Pony, and A Separate Peace. Oh my!! I am definitely doing that race next year!! Looks so awesome!!! 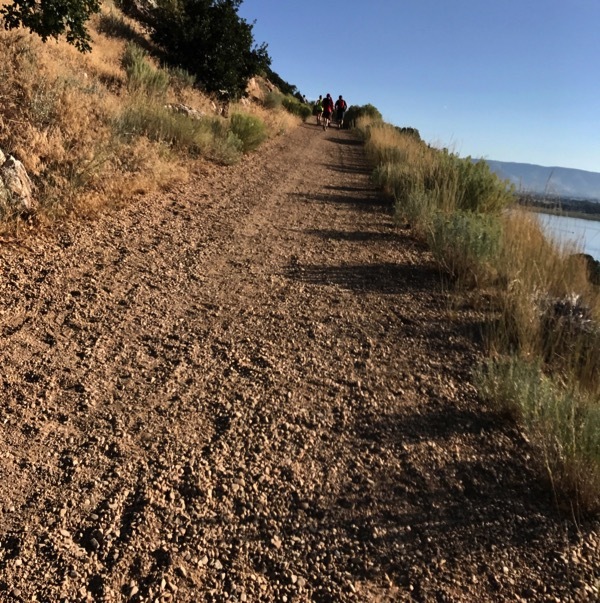 I have never done a trail race, but love to run the trails right behind my house (I am fortunate in that my house backs up to a mountain with a great switchback to get you up on the trails). I was planning on doing one this year, but broke my ankle May 11th running on the trails behind my house. Gimped over a mile home, went to the doctor to find out it was broken. I finally got the OK to run again two weeks ago and boy am I out of shape! I am more tired after 3 miles now than I was after the SLC Marathon I ran three weeks before breaking my ankle running 1.5 min per mile slower. But I’ll get it back!! This race will for sure be happening next year!!! My all time favorite book is The Sound and the Fury by William Faulkner. I also love The Power of One, I think the author’s last name is Courteney. HRG book club anyone?? Check out FASTZach (http://www.fastzach.com/). A friend from my running group developed it! I will be checking it out asap. Wow, how cool someone you know in your running group developed it, that’s pretty neat. Thanks for sharing, it’s very much appreciated !! Yes! I was scrolling down to type this app in as a suggestion. I heard the interview with the developer on I’ll Have Another with Lindsey Hein and it sounds exactly like what you are describing! That first pic of you and the train behind you is so cool. This sounds like such a neat race, so worth getting up for. The scenery was beyond amazing. Going to try the mentioned app’s out. Thank you so much for posting that, it’s very much appreciated. Excited to try them. Thank you again. That race sounds fun!!! My favorite book is a kid book….. Alexander and the terrible horrible no good very bad day. That race looks so fun and beautiful! I almost want to put it on my bucket list! The race I was least prepared for was last Thanksgiving’s Turkey Trot. I had been battling a cold / bronchitis for awhile, and could not exercise at all! I ended up doing the Turkey Trot that day, and then losing my voice after! This year I hope to be way more prepared. As for my favorite book.. I have too many to count. To Kill A Mockingbird, The Great Gatsby, and the Harry Potter’s are up there! This race looks awesome! 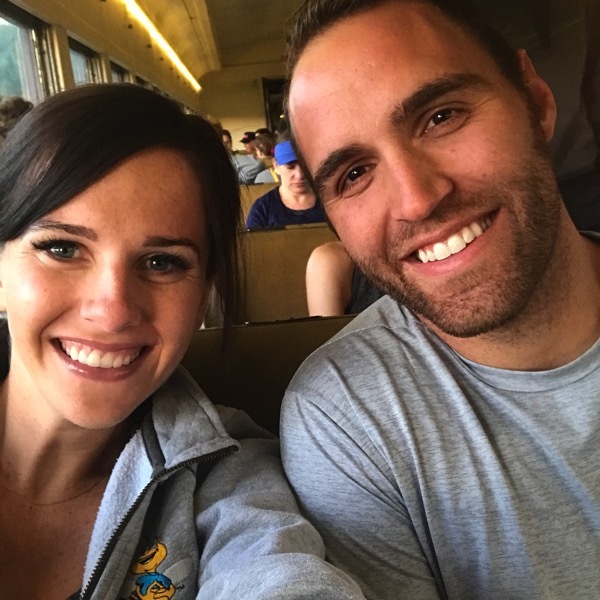 Congrats to you both for beating the train!! I have never run a trail race, but I did do a summer train running program with Fleet Feet (Raleigh, NC) a few years ago and thought it was really fun and something different. Hey, Andrew. Do yourself a favor and read Atlas Shrugged (by Ayn Rand). It’s my bible, and it’s almost as long as that. Feel free to skip the last 75 pages of her ranting, although she makes some good points. Also, please finish reading and watching the Harry Potter series, seriously worthwhile. You wouldn’t stop at Star Wars Episode VI or VII, would you? For your friend Michele: I like to use mapmyrun.com for finding routes to run based on distance. I often make my own route with it because I can easily map mileage or delete a section and go a different way. But when I travel you can see routes that other people have set up on the program and it’s all laid out for you. Race I’ve been *most* prepared for? Probably Rock N Roll St.Pete (FL) many years ago (I think they only did this location two years). It’s my PR half marathon and was before I started nursing school and was able to commit to the training. It’s also before I ran a full marathon and my body fell apart. Ha! Now that I’m actually an RN I don’t have as much time to train so every race seems to be unprepared for these days. Sigh. All time favorite book? Probably WILD. It’s such a fun combo of reading about life on the Pacific Crest Trail and the dynamics of her life that lead her to do the trail. I also got really really pulled in to Water for Elephants. The movie version of WILD is good, although not as good as the book but the movie of Water for Elephants should just be skipped. It was nothing like what I wanted it to be. The book is phenomenal. 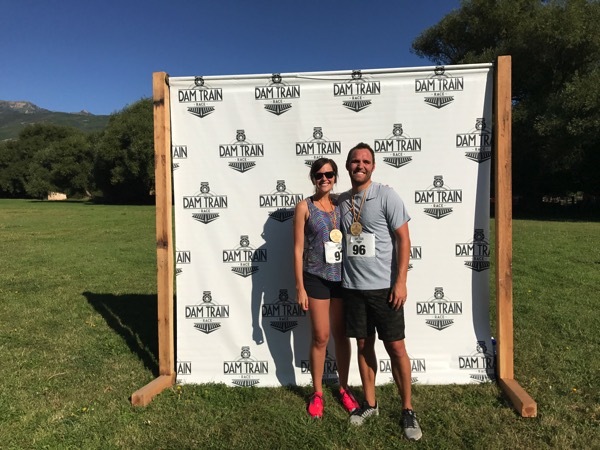 That sounds like a really fun trail race, and congrats to you both on beating the train!